Huge news for dance fans: the one and only Tiler Peck bourrés into Next Generation Ballet’s Nutcracker this holiday season with partner Tyler Angle as her Cavalier. One of the many benefits of having a retired New York City Ballet principal dancer as the artistic director of our pre-professional ballet company is the talent he lands for our annual Nutcracker. Last year, Philip Neal treated us to Sara Mearns and Patricia Delgado alternately performing the role of Sugar Plum Fairy. This holiday season, he offers the gift of a performance by Tiler Peck, dancer extraordinaire, who is arguably at the height of her phenomenal career. Peck started dancing at two years old in her mother’s California studio. Under private tutelage of former Bolshoi and NYCB dancers between the ages of 7-12, Peck’s rigorous classical training led to a spot in the School of American Ballet, the official school of NYCB. She started an apprenticeship with NYCB in 2004, earning promotions within the company until she attained the highest rank of principal dancer in 2009. Caught in the Act caught up with Tiler via email to talk about dance and her upcoming performance in the role of Sugar Plum Fairy for Next Generation Ballet’s Nutcracker, Dec. 21-23. Caught in the Act: Tell us a little bit about how long you’ve known Philip Neal and what it was like working together at NYCB. Was there any sort of “defining moment” where you knew you and Philip would always stay connected professionally? Tiler Peck: Philip was a principal dancer when I joined the company 14 years ago at the age of 15. He was always extremely professional, and I was aware that many of the men looked up to him as a role model. He made it a point to make the younger dancers feel welcome and was always kind to me. I remember feeling very honored to be picked to dance Who Cares? in his retirement, not with him, but as a tribute to him – to showcase the wide range and variety of roles he danced during his wonderful career with NYCB. CITA: You’re a superstar in the dance world, with Broadway credits (On the Town, The Music Man) and the Kennedy Center’s show Little Dancer, plus a slew of viral videos including the classical ballet/hip hop mashup you did with Lil Buck and Prime Tyme at Vail International Dance Festival. Because of your versatility and visibility, you’re a real role model to a lot of young dancers who get to see a principal ballerina pretty much do what she wants versus stay in the classical rep. What are you learning along your career path that you’d love to share about a dance career with young dancers who are watching you? TP: I have learned that I owe so much to the versatility of my training. I grew up in Bakersfield, Calif. taking jazz, lyrical, contemporary, tap, hip hop, among others and I think every style has influenced and helped me become the ballerina I am today. I think it is important to be well rounded as a dancer because it opens many more doors and opportunities. So, I would tell younger dancers to always stay curious and have a willingness to want to learn multiple styles as I think it only helps one grow as an artist. CITA: You also have film credits – two standouts being your role as “Beth Farmer” in the Sparkle Motion dance sequence in cult classic Donnie Darko and in the peerless 2010 dance film NY EXPORT: OPUS JAZZ. Do you have a preference between dancing for film or live performance? In what ways do you have to alter your performance for film, and how to you keep performing “for the first time” take after take after take? Any upcoming film performances we can anticipate? TP: I don’t think there is anything more thrilling than watching or performing live; there is something so exhilarating in live performance that just cannot be matched! Even if I watch a performance from the previous evening on film the next day, it never has the same feeling that it did when I was dancing it. There is definitely something that gets lost when translating live performance to film. Regarding film projects, my documentary was just released in July on Hulu so you should definitely go check out Ballet Now produced by Elisabeth Moss. CITA: Sugar Plum Fairy is such a traditional, iconic role. How do you make her “yours,” or do you feel like this is a role that makes you “hers”? Will you tell us about the first time you ever performed the role – how old were you, when was it, and how did you feel about stepping into the role the first time professionally? TP: The Nutcracker has a special place in my heart because it was the first thing I saw the New York City Ballet perform and what made me want to be a ballerina with NYCB. My parents took me to see The Nutcracker at NYCB when I was 11 years old in New York performing in The Music Man on Broadway. I turned to my father and said “Daddy, I am going to dance on that stage someday!” So, to be able to dance a role now that made me want to be a ballerina feels very special. Personally, the holidays are my favorite time of the year, and I just love sharing the stage with children and spreading a little Christmas magic to everyone who sees the ballet. CITA: We are truly so excited to have you here for our Nutcracker this year. What are you most looking forward to about your trip to Tampa and your work with Philip’s NGB dancers? TP: I am really looking forward to being reunited with Philip and getting to share the stage with his students. I know that Philip was a huge mentor to my partner Tyler Angle, and Tyler is my favorite person to dance with (in fact, we are known as Tsquared or TNT) so it’s going to one big love fest in Tampa! We cannot wait! We’ve realized Straz fans love knowing what goes on outside of the spotlights, so we’re running a short series called Tools of the Trade, listing some cool and maybe-unheard-of tools for life in the performing arts. This week’s spotlight is on dance. Slippery dance shoes? Slick flooring? No problem, thanks to this useful trick-of-the-trade. Filled with small clumps of dried pine sap called rosin that break into sticky crystals, this box lurks in some corner of the stage or studio. Dancers crush the rosin on their pointes or jazz shoes to provide a much-needed grip in dicey dance conditions. Guess what? Ballet dancers literally have tools of the trade. These hand tools are must-haves to break in a new pair of pointe shoes. Pliers remove nails, hammers beat the box (the part where the toes go) into submission and X-Acto knives score the tips for traction. A dancer’s toes know. This tool of the trade belongs in studios and dance bags all over the world. Toes and feet need TLC and/or mending after hours hard at work in a pair shoes, be those shoes pointe, tap, salsa, ballroom or jazz sneakers. Barefoot dancers keep tape around for toes as well, often with a companion roll of gauze for blisters, broken skin and the occasional rehearsal sesh that involves parts of the foot’s skin falling completely off. Dancers love to prepare, and perfection is often the goal. We’re probably going to get in big trouble for revealing that a trade secret (for actors and other performers as well), is using Preparation H on wrinkles before showtime to create a plump, youthful face. Gentle readers, this trick-of-the-trade may not be the best idea for treating your maturing skin at home, but it works for a minute onstage. Ah, there’s no business like show business. On the neck of the foot? The bite of the donkey? Next Generation Ballet dancer Alexandra de Roos demonstrating échappé. The French codified ballet under King Louis XIV by defining the five basic positions of the feet and setting a catalog of positions related to the “turn-out” of the legs in the hip sockets (i.e., the legs rotate out of the hips instead of facing forward). Placement, a.k.a. alignment, and lift, a.k.a. pull-up, became fundamentals that traveled with ballet when it spread to Italy, Russia, Denmark and finally to an American style with George Balanchine. The different countries put their own flair on the fundamentals and their major schools altered the basic vocabulary just enough to be super annoying if you study one school, like Vaganova, and then take class with a teacher from the Cecchetti school. However, the basic language of class and choreography roots en francais, in French, from the founding school. Let’s be as plain as possible: ballet is hard. It’s a tough art form with an unforgiving technique that requires ballet dancers to be the most elegant professional athletes with (let’s face it) the best team uniforms. The bitter irony for dancers is that training until your toenails slough off results in a form that looks effortless onstage. Sometimes, it’s also tough for the person who has never studied ballet terms to appreciate the cool connection between the moves and their names. We thought we’d put together a brief list of classical ballet terms with their English translations to give a little pro tip insight to our audience. Tendu – “to stretch;” when you see a dancer’s foot extend to point the toes, that’s tendu. Pas de bourrée – “pas” means “step.” “De bourrée” means “of the bourrée,” which was a three-step 17th century French dance. Chances are, if you’ve ever taken a jazz, ballet or contemporary class, you’ve done pas de bourrée, though it usually sounds like padda bou-ray. Two more that you may have heard whose spellings might surprise you are chassé (sounds like “shah-SAY”) and chainés (those “sheh-NAY” turns). “Chassé” looks like “chase” so that’s an excellent way to remember chassé is a step where one foot chases the other. “Chainés” looks like “chains,” which also serves as a foolproof mnemonic device for those rapid little turns that look like the dancer is drawing chain links in a line or circle across the floor. Pas de chat – this fun term means “step of the cat.” This jaunty leap mimics the quick, arching jump of a cat onto something. The idea here is to get both feet in the air with bent knees at the same time and land soundlessly with a touch of ennui, much like our feline friends. Pas de cheval – again, another animal step. This one means “step of the horse” or “horse’s step.” The dancer extends from the knee à la Mr. Ed pawing at the ground, but more gracefully. Cou-de-pied – “Cou” means “neck;” “pied” means “foot.” The French named that area between your ankle and base of the calf “the neck of the foot.” You’ll often see dancers with their pointed toes placed delicately on this area.The bite of the donkey – This phrase is a perfectly apt description of what it feels like to hit a correct attitude (a position with one leg extended from the hip and bent at 90 degrees behind the other, with the knee HIGHER than the foot.) Try it, and you will indeed feel like a donkey is biting you in the derrière and/or low back. Ouch. Échappé – “to escape;” used to describe when the legs open at the same time. Admit it, that’s witty—the legs are getting away from each other. Pirouette – “to twirl,” “to whirl,” “to rotate.” This iconic ballet turn with the toes tucked to the knee in a shape like the number 4 literally means to rotate and to twirl and whirl. Excellent job summarizing the whole shebang in one word, nos amis français. Naturally, this vocabulary list represents but a fraction of full joy that is the often literal, somehow simultaneously poetic names of classical ballet moves. And, imagine the surprise of your friends when, at intermission, you can casually mention how impressed you were with the dancers’ placements sur le cou-de-pied and how much you enjoyed the sequence of pas de chevals. Put your new knowledge to use when Ballet Nacional de Cuba returns to Morsani Hall on May 23 as part of a very limited United States tour. Amar Ramasar (L) and Renan Cerdeiro (R). The word is out about the big ballet stars appearing in Next Generation Ballet’s Nutcracker, which features the George Balanchine grand pas de deux and New York City Ballet star Sara Mearns and former Miami City Ballet principal Patricia Delgado alternating the role of Sugar Plum Fairy. But what about the man in tights executing the unbelievable sequence of leaps and mid-air turns? That’s her Cavalier—in the case of Nutcracker, the name of the role, but the word “cavalier” also refers to a ballerina’s male partner. His job is primarily to show her off and secondarily to wow audiences with a small but virtuosic solo, which is the case for Sugar Plum’s Cavalier. NGB’s artistic director and former principal with New York City Ballet Philip Neal called in two friends who are rather well-known in the sphere of cavaliers—male dancers with the grace, chops and personality to match the sublime, extraordinary talents of Mearns and Delgado. Often partnered for NYCB, Amar Ramasar and Sara Mearns perform together for Nutcracker on Friday and Saturday night. Ramasar, a Bronx kid who saw a videotaped version of Balanchine’s Agon and decided on the spot to be a ballet dancer, hid his training at School of American Ballet, the school founded by Balanchine and Lincoln Kirstein, from his neighborhood friends. Ramasar started late, at 12 years old, and found himself learning the basic steps in classes with five- and six-year-olds. Determined and on fire, Ramasar advanced quickly to graduate on time with his peer group. In 2001, NYCB invited him to join the company. Ramasar was cast as the Cavalier that year in their Balanchine Nutcracker, a must-do of the New York holiday season. He’s been a principal dancer, the highest rank, since 2009. Amar, and other NYCB dancers, showed off their moves in a recent campaign for Cole Haan. Do you recognize any other dancer faces in the GIF above? Renan, born in Brazil, joined MCB as a teenager, landing solo rank at 18 years old. One of the first Brazilian dancers in MCB (the other was his lifelong friend Nathalia Arja), Renan instantly became known in the company as the dancer who has everything: looks, height, technical beauty and flawless musicality. Plus, he loves Broadway musicals and Disney movies, so he may be a perfect person. With Sara Mearns/Amar Ramasar and Patricia Delgado/Renan Cerdeiro appearing in the most-anticipated roles of the holiday season’s ballet tradition, we’re expecting a high demand for tickets to Next Generation Ballet’s Nutcracker. Make sure you get yours here to see these stars performing with our exceptional pre-professional company directed by NYCB alum Philip Neal. Lauded principal ballerina Patricia Delgado retired from Miami City Ballet this year after an extraordinary career with the company that began when she was 16 years old. An exquisite technician and breathtaking artist, Delgado gave soul to MCB, and arrived at The Straz last summer as a guest artist (along with Balanchine great Edward Villella) for the NGB summer intensive. It was our privilege to catch up with her to talk about her upcoming role with Next Generation Ballet’s Nutcracker. CAUGHT IN THE ACT: How was your first experience dancing Sugar Plum Fairy? What did it mean to you as a dancer to finally have arrived in this prestigious role? What does it mean to you at this point in your career? PATRICIA DELGADO: I remember the first year I had the opportunity to perform as the Sugar Plum Fairy with the Miami City Ballet. I was extremely excited but way too nervous! I was young! I was still in the corps de ballet and loved getting to perform in snow and flowers every single show and every now and then get to do lead Marzipan. I couldn’t believe I would get to dance the grand pas de deux. It was very emotional for me because I had grown up doing the children’s roles in Miami City Ballet’s The Nutcracker, and all of the ballerinas I idolized so much had mesmerized me in this role for so many years. It was such a big deal for me. I remember working very hard and rehearsing a lot and still feeling very nervous! I have to say that even though my first show felt like a huge emotional achievement, it wasn’t my best performance at all. I remember my partner and I were both new in the role, and we were very shaky. Now, looking back … I was just very young and inexperienced. However, what reassured me and helped me to stay calm and happy was knowing that I would hopefully get to work on it every single year since it is such a tradition. Every year when Nutcracker season strolls around, I’m excited to see how far I have come from the year before. I take note of how I learn artistically to interpret the music on a deeper level or approach the technical elements with more finesse and confidence. The other perk of dancing The Sugar Plum every year is trying the pas de deux with so many different Cavaliers. Each one I have been fortunate enough to dance with has shown me the pas de deux from a uniquely different perspective, and I love exploring that! This year, I’m beyond words excited to get a chance to dance with principal dancer from the New York City Ballet, Gonzalo Garcia*, for the first time. He has been a dream partner of mine for a long time and to get this opportunity means the world to me. When I watch him dance, he makes me want to work harder and harder at being a better dancer and getting to feel his passion on stage will be such a treat! He is such a giving partner. I feel incredibly fortunate. PD: What I love about this version is how incredibly musical it is and how beautifully the steps show off the music. Balanchine is just the absolute best! I really get lost in the mystery and luscious adagio quality of the pas de deux. What I just completely adore about the variation is how sweet it is. I imagine all of the little angels around me having conversations with me and sharing little secrets with me that just fill my heart with flutters of joy. CITA: Will you talk a little about what you are looking forward to most about working alongside the Next Generation Ballet pre-professional company? Philip gushed about what great examples of professional dancers you all are, and he mentioned that you would all be great with the younger dancers. PD: I’m so excited to be dancing alongside the Next Generation dancers because this past summer, after teaching for a week at the summer intensive, I was just blown away by the talent, work ethic, dedication and the positivity of all the students. I left Tampa rejuvenated and completely inspired by so many young amazing dancers. They fueled me! To share the stage with them is an honor, and I cannot wait to get the chance to see them light up on stage. Patricia working with a student during Next Generation Ballet’s 2017 Summer Intensive. CITA: What are you eager to see, do (or eat) during your stay in Tampa? You know we have the best café con leche and Cuban sandwiches (sorry, Patricia!, we know Miami is strong in these regards). PD: Tampa is such a booming city. 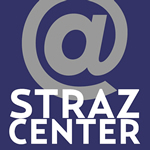 I love the location of the Straz Center along the river and in such a developing part of downtown. I can’t wait to go to Ulele, one of my favorite restaurants. Also, it’s my first winter living in NYC after living my whole life in Miami, so I’m very much looking forward to the sun and the warmth which I miss this time of year! I’m also looking forward to spending time with Philip and the amazing teachers at Next Generation Ballet. Patricia teaching during Next Generation Ballet’s 2017 Summer Intensive. Patricia Delgado performs Sugar Plum Fairy during the Thursday night performance, and Sara Mearns performs Friday and Saturday nights. *Due to a recent injury, Gozalo Garcia will not be appearing in Nutcracker. However, we are excited to announce that Miami City Ballet principal Renan Cerdeiro will perform with Patricia Delgado as the Cavalier.